million men, women and children died of AIDS in Sub-Saharan Africa. Saving African Families Enterprise (SAFE) is a US-based, non-profit organization, founded in 2001, to raise funds in order to buy and donate medicine and provide other assistance to African families living with HIV/AIDS. As a 501(c)(3) charity approved by the U.S. Internal Revenue Service, contributions to SAFE are tax deductible in accordance with US tax law. SAFE is an ultra-low overhead organization, led by volunteers, which strives to ensure that over 98% of all donations go directly to benefit people in need in Sub-Saharan Africa. 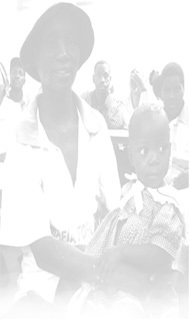 SAFE's Mission Statement: Saving African Families (SAFE), a very non-profit humanitarian organization, led by volunteers, provides medical and other assistance to mothers, fathers and children living with HIV/AIDS (as well as AIDS orphans) in Africa, and seeks to prevent through public education programs, the spread of HIV/AIDS. Copyright 2012: Saving African Families Enterprise. All Rights Reserved.